I got to know an old radio repair guy around the corner. He was still fixing tube radios for people at almost ninety years of age. I scored some great tubes from him, but that’s a story for another day. He passed away a few years ago, but before he did, one of the pearls of wisdom he passed on to me about aging was, “Once a man, twice a boy”. I think about this often when pondering how my audio life has come full circle. 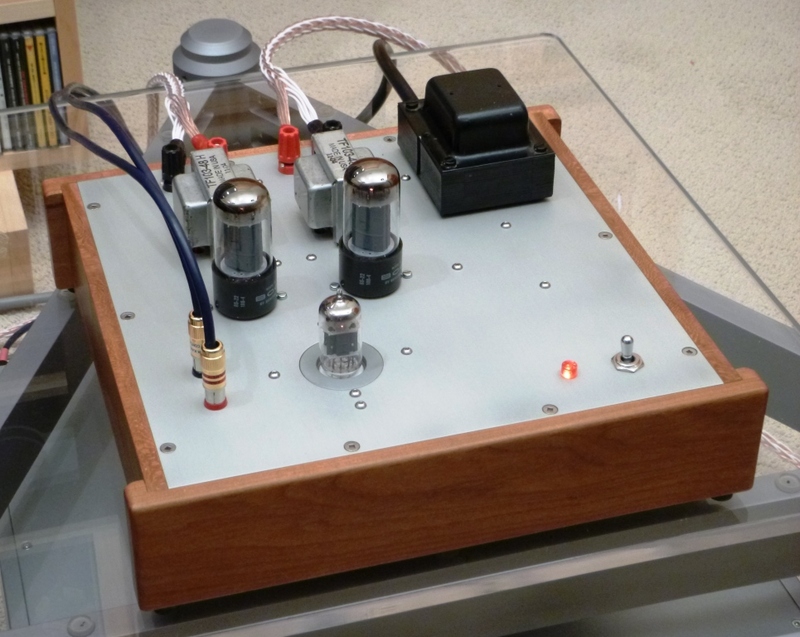 A “modern” version of my youthful monstrosities, actually a stereo power amp based on the Fender Champ circuit. A theory I read some years ago, I forget where, posited that big (12” or larger), high efficiency paper cone woofers sound more like real instruments because the area of the cone more closely approximates the size of the instruments it is trying to reproduce. It also does so with very low power which makes it more likely to approach the dynamics of live music. A whole bunch of smaller woofers won’t cut it: I know, I’ve been there, done that. With that in mind I took the plunge and bought a pair of Altec Flamencos. I found them on that evil, insidious web site you might have heard of – eBay. Like most people, I can never casually shop on eBay; it becomes a sort of holy grail-like quest. To cut a long story short, my wife (she is a gem) and I drove to Cincinnati, Ohio, from our southern Georgian Bay home on our quest for Altecs, in February of 2014. Yeah – that winter, one of the worst in living memory in the Great Lakes basin. I have to say that everyone we met in Ohio was courteous, if not outright friendly. The darker side of a music lover my age who remembers Kent State, the Neil Young song “Ohio” springs to mind. So on a Sunday morning in February, we pulled up to a small post-WWII house on a quiet street in suburban Cincinnati. Judging from the contents of the kitchen, mostly breakfast cereal, pasta and canned beans, and that seemingly he was the only one in the house, I concluded the seller lived alone. We were directed to the basement to see and hear the Flamencos. He seemed a decent sort and in no way threatening, but I couldn’t help having a Stephen King-like moment. The mind plays funny tricks at times, especially in a strange city with a couple grand in one’s pocket, on a winter Sunday in a quiet suburban basement.